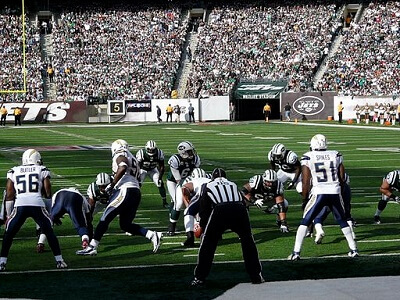 Get notified when New York Jets tickets are available! The New York Jets are a United States based-professional football team that is located in the metropolitan area of New York. The New York Jets play as a part of the National Football League and are a part of the American Football Conference’s East division. The team is based in Florham Park, New Jersey and shares a unique arrangement with the New York Giants in which they share the MetLife Stadium in East Rutherford, New Jersey. They were founded as Titans of New York in 1959. Get your New York Jets tickets today to be in the audience for their next game.